Please check the nearest Outdoor Pools in Liverpool or Contact us to ADD IT. It's totally free! Looking for Pools? Many of them belong to gyms or sport centres which also provide lessons. If you are visiting Liverpool be sure you know the rules and regulation for swimming as they may not be precisely the same as inside your residence town. Water sports are increasing especially in elderly population sectors who have suffered some style of muscle or bone damage. Are you on holiday and wish to hold fit and healthy? 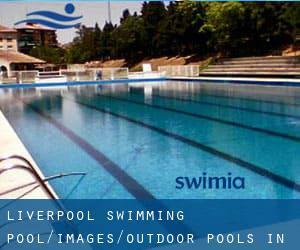 Swimia.com offers you the easy and quickest approach to come across pool near Liverpool. Thanks to some new Outdoor Pools in Liverpool submitted every day, Swimia.com is escalating day-to-day the number of stored pools. Please don't hesitate to get in touch with us if you find any inaccurate or incomplete info. 32 Endell St. , Bloomsbury , London - Central , England , UNITED KINGDOM (Postal Code: WC2H 9AG). This great and large sports centre lets professional swimmers like you enjoy 27.5 meters x 9.8 meters, 3 lanes, 0.9 meters - 3.5 meters depth, 0.9 meters - 3.5 meters depth, Outdoors. Additionally, within these facilities you can try 25 meters x 8 meters, 3 lanes, 1 meters - 2 meters depth, 1 meters - 2 meters depth, Indoors. Unfortunately we do not have the e-mail address of this Swimming Pool, but we can provide you with the phone number. Tooting Bec Road , Tooting , London - South , England , UNITED KINGDOM (Postal Code: SW16 1RU). Swimmers like you reported 91.5 meters x 33 meters, Outdoors. Unfortunately we do not have the email address of this Pool, but we can give you the phone number. Queens Park Avenue , Billericay , England , UNITED KINGDOM (Postal Code: CM12 0SP). Swimmers like you reported 23 meters x 10 meters, Indoor/Outdoor. Unfortunately we do not have the e-mail address of this Pool, but we can give you the phone number. 242 Christchurch Road , Ringwood , England , UNITED KINGDOM (Postal Code: BH24 3AS). This sports centre provides 25 meters, Indoor/Outdoor. For this Swimming Pool, only phone number is number here. Jesus Green off Chesterton Road , Beside the River Cam , Market , Cambridge , England , UNITED KINGDOM (Postal Code: CB4 3BD). Swimmers like you reported 100 yards x 45 feet, 1.2 meters - 2.5 meters depth, 1.2 meters - 2.5 meters depth, Outdoors. Phone number and e-mail address are number for this Swimming Pool. Updated on 2019 Hornfair ParkShooters Hill RoadLondonSE18 4LX. Swimmers like you reported Olympic size, 5 lanes, Indoors. Unfortunately we do not have the email address of this Pool, but we can give you the phone number. 1 Thames Valley Park Drive , Thames Valley Business Park , Reading , England , UNITED KINGDOM (Postal Code: RG 6 1AD). Swimmers like you reported 25 meters x 10 meters, Indoor/Outdoor. Unfortunately we do not have the e-mail address of this Swimming Pool, but we can give you the phone number. East Acton Lane , Acton , London - West , England , UNITED KINGDOM (Postal Code: W 3 7HB). This sports centre offers 25 meters x 11 meters, 6 lanes, Outdoors. Contact info for this Swimming Pool such as phone number and e-mail address are number. Vale Park , Park Street , Aylesbury , England , UNITED KINGDOM (Postal Code: HP20 1DX). This great and large sports centre lets professional swimmers like you enjoy 25 meters, 8 lanes, Indoors. Additionally, within these facilities you can try 20 meters, 4 lanes, Outdoors. Phone number and e-mail address are number for this Swimming Pool. London Fields Westside , Hackney , London - East , England , UNITED KINGDOM (Postal Code: E 8 3EU). This sports centre provides Olympic size x 17 meters, 8 lanes, 1 meters - 2 meters depth, 1 meters - 2 meters depth, Outdoors. For this Pool, only phone number is number here. 161 Banks Rd , Sandbanks , Poole , England , UNITED KINGDOM (Postal Code: BH13 7QL). Among all of the activities offered by the centre, if you are interested in swimming you are going to delight in 17.5 meters x 6.5 meters, 1.1 meters - 2.2 meters depth, 1.1 meters - 2.2 meters depth, Outdoors. Just in case you would like to contact this Pool before dropping by, we only know the phone number. 269c Woodstock Road , North Oxford , Oxford , England , UNITED KINGDOM (Postal Code: OX2 7NZ). Few days ago a common user of this centre told us they offer 25 meters x 8 meters, 3 lanes, 1.5 meters uniform depth, 1.5 meters uniform depth, Indoors. Furthermore, they keep in good conditions 20 meters x 8, Outdoors. For this Swimming Pool, only phone number is number here. Oakfield Place , Clifton , Bristol , England , UNITED KINGDOM (Postal Code: BS 8 2BJ). This sports centre offers 25 yards, Outdoors. Contact information for this Swimming Pool like phone number and email address are number. High St. , Hampton , London - West , England , UNITED KINGDOM (Postal Code: TW12 2ST). This sports centre provides 36 meters x 14 meters, 6 lanes, Outdoors. Contact info for this Swimming Pool such as phone number and e-mail address are number. Drayton High Road , Hellesdon , Norwich , England , UNITED KINGDOM (Postal Code: NR6 5DU). Swimmers like you have reported 25 meters x 18 meters, 3 lanes, Indoors. Also, you will find 20 meters x 8 meters, Outdoors. Just in case you wish to contact this Pool before dropping by, we only know the phone number.